Here you will find copies of UP Zambia's newsletters, legal articles and publications created by our legal team, as well as articles and other media related to UP Zambia and our mission. 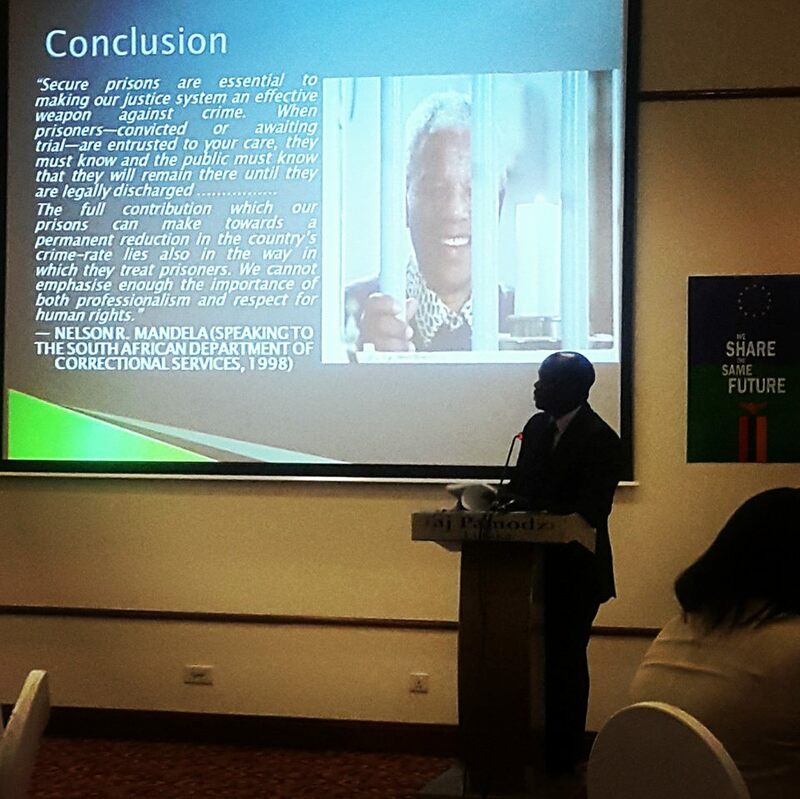 Read the German Embassy in Lusaka's informative report on UP Zambia's One Day Freedom Event. The German Embassy is the primary funder of UPZ's Justice for Juvenile's project which culminated in an informative and fun event that featured entertainment by incarcerated youth and partner organizations. Baylor Law School recently hosted our very own Sara Larios to discuss UP Zambia's work with juveniles and continue discussions on future partnerships with Baylor Law students in the future. This is a great read from the Baylor Lariat highlighting this exciting potential partnership! In June 2017, UP's very own Kelly Kapianga was selected to participate in the 2017 Sakharov Fellowship, a two-week intensive training program - at the European Parliament (EP) in Brussels and at the European Inter-University Center in Venice. 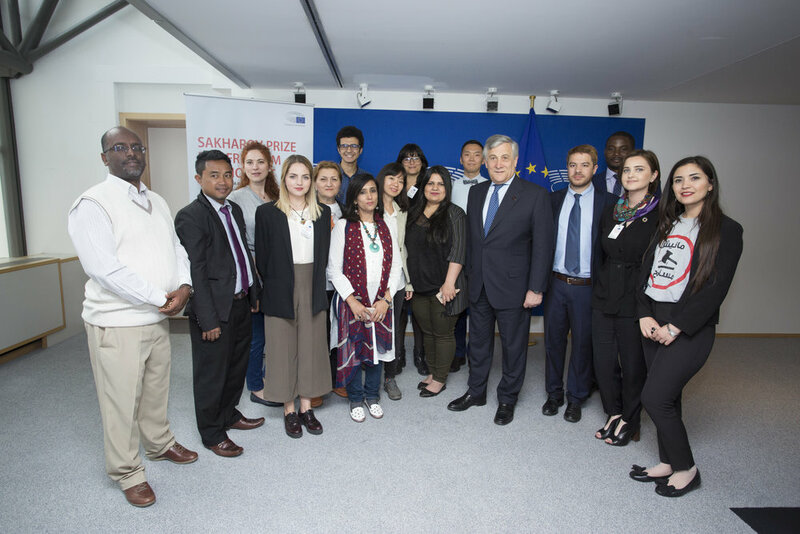 The goal of the fellowship is aimed at expanding the Fellows' knowledge of the EP human rights engagement and help to develop their capacities and improve their work as human rights defenders. Find out what is new at UP Zambia with our quarterly newsletter, The Legal Eagle! Get the latest on our legal work, new programs, prison outreach, donor drives, volunteer opportunities and much, much more! JUMP feature article "Justice for Juves"
In July, the JUMP (an E-learning platform and lifestyle website devoted to Zambian youth) recently featured UP Zambia in an article by Edwina Muzunda. This article features interviews by our directors as well as youth that have benefited from our programs. This is a great read to learn more about UP Zambia's recent programs! Listen to United Radio's UP Zambia Series that explores UP Zambia's mission and the experiences of the legal professionals, UP Zambia volunteers, juveniles that have faced the system and their families. The International Detention Coalition's campaign "END Child Detention"
recently published a virtual gallery that features artworks that share the painful experience of children in detention, as well as the possibility of freedom in alternatives to detention. The piece titled "Zambia: From Fences to Freedom" embodies the stories of Ethiopian migrants recently released from detention in Zambia. UP Zambia was active in assisting these boys during their detention and court processes in 2016. We are happy that they are now back their families and celebrate these beautiful works of art that illustrate their struggle and resilience! View "From Fences to Freedom"
Facilities. UP served as an expert adviser for juvenile justice and many of UP's recommendations for reform are included in this report. 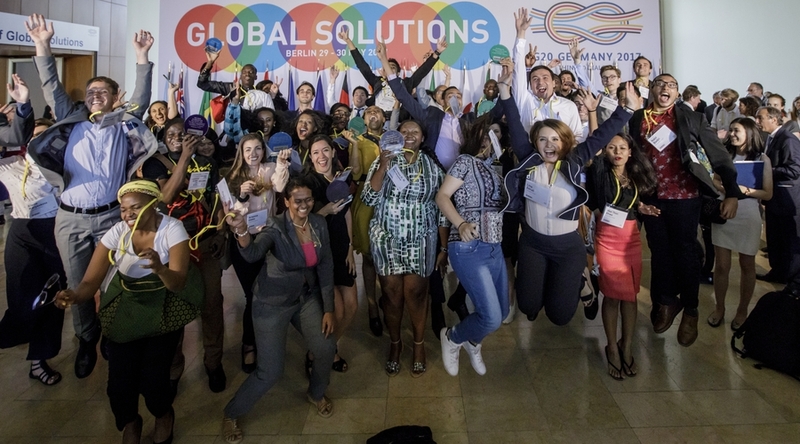 In May 2017, UP Director, Kelly Kapianga, was selected as a Young Global Changer and was brought to Berlin to attend the G20's Global Solutions Forum. Over 1300 early-career professionals from all over the world applied for the program. Of those applicants, only 100 were selected to attend the Think 20 Summit and work on global solutions themselves.